General public sale on Friday 16 October from 9am! 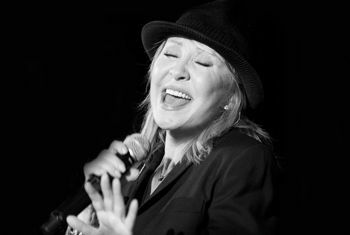 The incredible Lulu still has plenty to shout about and, due to popular demand, is back with another fantastic twenty-date UK tour for March 2016. The Grammy-nominated singer will be performing hits from her 50-year career, such as To Sir With Love, The Man Who Sold The World, Relight My Fire and, of course, Shout. As well as performing songs by some of her musical heroes, such as soul legends Ray Charles and Otis Redding, she will also be taking us on a musical journey, recalling personal anecdotes, songwriting experiences and other entertaining stories.